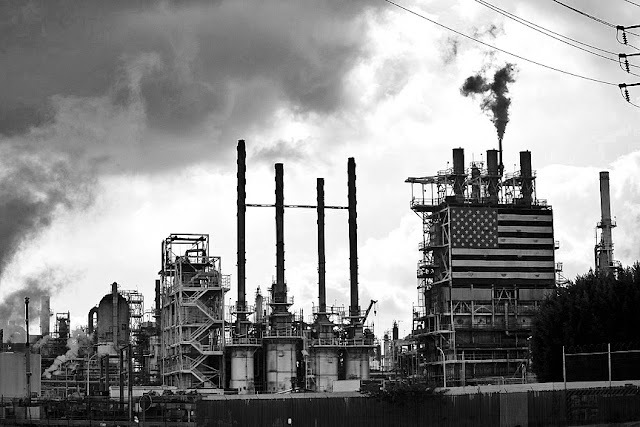 The giganteum 630 acre oil refinery in Carson owned by BP, yes them, is now for sale along with a Texas refinery. Both refineries are excepted to bring BP about $4.4 billion dollars. BP is attempting to divest about $30 billion dollars to pay for the gulf coast disaster. BP just posted a fourth quarter profit of $5.57 billion dollars and is now paying dividends to it's investors. The British government suspended BP from paying out dividends last year, due to the gulf coast catastrophe. The refinery produces 1/4 of Los Angeles' gasoline, along with jet fuel and petroleum coke. The Carson facility has a workforce of 1200 along with 500 contractors.